The Hadrian's Wall, stunning architecture, arguably the best nightlife in all of Britain, Geordie Folk and great art and sports scene: Newcastle is fast becoming one of the most attractive travel destinations in the UK and well worth a visit. 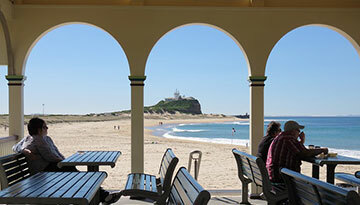 You can book cheap flights to Newcastle from a number of UK departure points and indulge into the phenomenal vibe and historical heritage of a city that was founded as far as 2,000 years ago! Originally a Roman fort at the Hadrian's Wall, the location on the River Tyne led to the city's development into an important port and later center of the Industrial Revolution. Nowadays, it is one of the trendiest destinations within Britain and features some of the most beautiful Georgian architecture in the country. A visit to the legendary Grainger Town and the Victorian Central Arcade are absolute musts for any traveler to Newcastle. Also, a walk along River Tyne to enjoy the scenery and view the Gateshead Millenium Bridge and the Tyne Bridge are highly recommended! And a visit to the Hadrian's Wall and Segedunum should equally be on the bucket list. But the nightlife of Newcastle is particularly spectacular. Start your night out at the Central Station with its many bars. If you want to stay in style, start at the Centurion, a nice bar in the Victorian lounge of the Central Station. Equally great is The Telegraph in Orchard Street with its great roof terrace, DJs, and live bands. For younger travelers, we recommend checking out the bars at the Quayside. Of course, there is much more to discover in the bar scene than we'd ever be able to write here - so best ask around or hit up Google to find your favorite spot in the city. There literally is something for every taste! In terms of food, Newcastle is a highly diverse city - whatever type of restaurant you are searching for, you most likely will find it around the Central Station or in the Quayside. If you want to go shopping, check out Northumberland Street, the Grainger Market or Eldon Square. As the city center of Newcastle is compact, getting around on foot is really easy. For any larger distances, there exists an extensive metro and bus network. It also is possible to get around by bike! 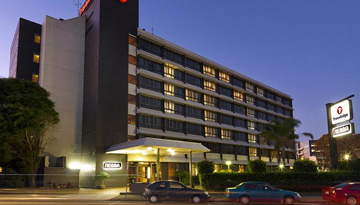 This 4-star hotel also allows guests to easily explore what the local nightlife has to offer. 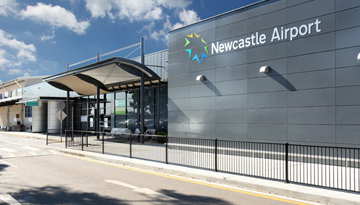 Fly from London - Newcastle & Stay for 7 nights with 3 star accommodation. Room Only.